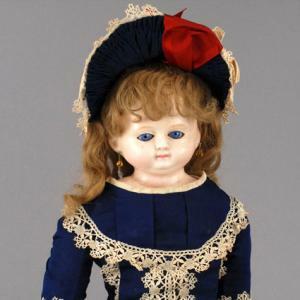 Through the years, dolls have been made from wood, leather, fabric, wax, china and other materials, and because they were well-loved, antique dolls more than a century old often need repairs for missing eyes, broken arms, cracked heads or stuffing failure. Whether you do it yourself or find a doll "hospital" with skilled technicians depends upon what your doll needs. Even before that, you have to understand the choices you have for antique doll repair. Like many toys, dolls often received a great deal of affection. Eventually the hugs, kisses and carriage rides translated into bumps, bruises and broken parts. Real hair wigs droop or are missing, noses are chipped, clothing is tattered, and the kid leather body might be leaking sand. To deal with any of this, first you have to decide what you want to do with your doll: repair, restore, stabilize or conserve. 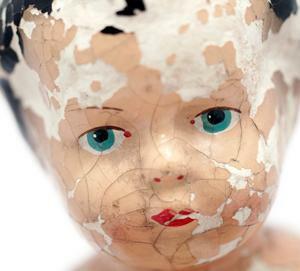 Repairing an antique doll means fixing a part that is broken or damaged in some way. So, a broken arm might be glued back together or a wig could be cleaned and restyled. Restoration means bringing the doll back to its original condition including wigs and hair styling, clothing and facial features. This can be done with original materials, or with materials which mimic the original as closely as possible. Conservation or stabilization means stopping a problem that has developed and preserving the current state of the doll. Conservation would include treating an insect infestation, repairing broken or deteriorated strings before they cause more problems or resetting a loosened eye. There are several things to consider before you do anything to your doll, and most of them have to do with the doll's value. Any repair will affect how much your doll is worth; the repair could actually decrease the value a great deal. Among the first guidelines in doll restoration is to do nothing to your doll that will decrease its value and compromise the authenticity. Extensive repairs can reduce value by anywhere from 25% to 50% or more. A badly broken doll is worth very little, a repaired doll is worth somewhat more, but the most valuable doll has little or no repairs. 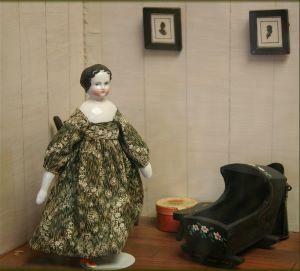 If you are repairing your antique doll simply because you want to, there's no problem. But if you want the doll to keep its value, you might do some research and see what prices comparable dolls in the same condition are bringing. If you eventually sell your repaired doll, you must tell the buyer what was repaired or restored. Clothing is also a problem with dolls. Many collectors want dolls in their original clothing or at the very least, in replacement clothing from the doll's era. Even a doll with tattered clothing can be worth more than a doll in new, crisp reproduction clothing. Do not throw away any clothing, shoes, or other items from a badly damaged doll because these items can offer clues to finding the correct, contemporary clothing. 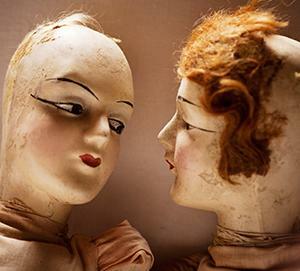 Can you repair an antique doll yourself? It's possible, but the rule of thumb in the antiques world is to never make a repair that can't be reversed. And unfortunately with antique dolls, that is often impossible. Even cleaning with the wrong soap or chemical could dissolve paint, loosen old glue or ruin the eyes and hair. Leather or kid dolls can be stained irreversibly with the wrong treatment, so don't try to clean them. A doll that is more than a century old will often show extreme wear. Some of the problems may be on the surface and clearly visible (missing arms, or torn wigs), others may be hidden inside the clothing or the body, especially if the doll is stuffed with straw or organic matter (this is where insects come in). Wax-head dolls sometimes show a response to heat (and it's not pretty), while in other cases, a thin crack might run right across a pouting face. You may be able to re-wig or replace an old wig on a doll, replace a china arm or leg (they can be sewn on), and clean the doll's clothing. But even before you do any of this, you will want to make certain you know what the wig or fabrics are made of, and determine if they are, in fact, washable. For example, mohair wigs can fall apart, human hair doll wigs may need to be washed and set, and composition fibers can sometimes decay at a touch. If your antique doll is rare and valuable, or even if it is priceless only to you, have it repaired or conserved by a professional. Before sending your doll, call or email and include photos and a description of your doll. Prices for repairs vary considerably, from under $100 to $1000 or more, depending upon the materials, time and techniques used. What kinds of repairs do they undertake? What types of dolls do they repair (1950s dolls are much different from 1890s dolls)? Do they have samples for you to examine? The following companies have been in business for years, and have seen pretty much every type of doll out there. Kleins Doll Restoration and Repair has worked on thousands of antique doll repairs, including wax, papier mache and bisque. The owner also designs and makes replacement clothing for dolls. Her before and after photos of doll repairs are inspiring. Antique Child doll repair handles even the most difficult repairs, including repainting bisque in the 19th century style. One of their website examples is that of a Neapolitan creche figure, an elaborately-gowned figure placed in the holiday creche. You can see a step-by-step history of the repair effort. They offer reproduction doll clothing, and also sell antique dolls. The Doll Hospital repairs human and composition wigs, clothing, eyes and restrings dolls, along with other services. They have worked on 250,000 dolls over the years, and are considered among the best doll repair companies in the U.S. Their photo gallery shows their work on antique and vintage dolls and, of course, teddy bears. Loved to Pieces doll repair shop works on vintage and antique dolls of all types, and is an expert in recreating doll clothing for different eras. Dolls are among the most popular items to collect, and there are thousands of collectors who meet to share their passion. Here are some contacts to help you locate restoration experts, parts or prices. The United Federation of Doll Clubs is a membership organization of people who love, collect and restore dolls. Doll Reference lists doll manufacturers from the 19th and 20th centuries, and is a good resource for identifying your treasures. The Little Doll Shoppe makes reproduction doll parts, many custom-designed. Dolls seem timeless, yet they do need some TLC from time to time. Repairing your doll may be expensive, but the result will be priceless.